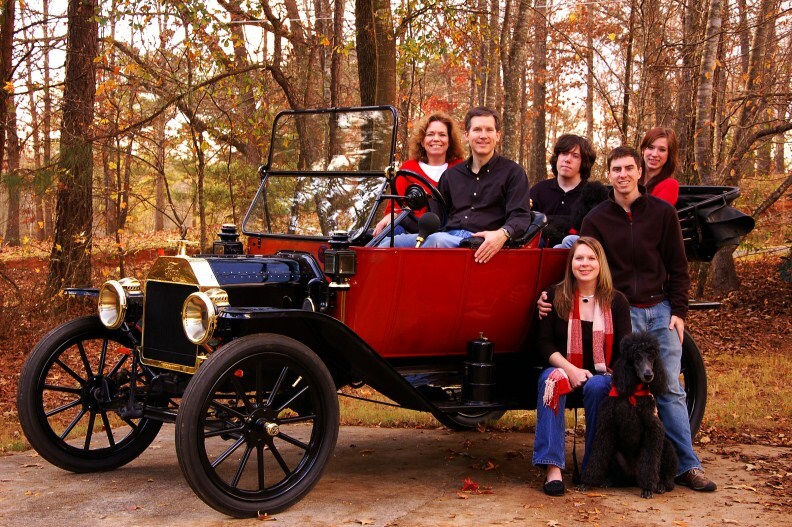 We purchased our 1913 Model T about 7 years ago. It was purchased from the daughter of Otis Clinton who restored it in the mid 1950’s. He lived in Seattle and was a well known Model T collector /restorer. When we purchased the car, we were given a copy of an undated, local Seattle newspaper article about the car and its restoration. The article also referred to a trip they had taken in the car that year to California via Montana and back – 4,200 miles in all! The purpose of the trip to California was to participate in the national Horseless Carriage Club tour. With a little research, I determined that the trip would have been taken in 1957. The article also mentioned Mr. Clinton had won first place in the “Fords Through 1913” class while on the tour. Thinking that there would be an article about the tour in the Horseless Carriage Gazette and that the prize winning cars might be pictured, I began looking on Ebay for HCCA Gazettes from 1957. I was able to find and purchase a full year of Gazettes from 1957. When I received them, I found that the May – June issue featured a story about the 10th Annual Western Caravan Tour that started in Fresno and went to Yosemite National Park. I was pleasantly surprised to see a picture of the Clinton family in our car while on the tour. Below is the picture from the May – June 1957 Gazette and also a picture of our family in the same car 52 years later! Great story and beautiful car! Wow Dan. What a great "feel good" story. I think a great deal of the draw for us to get into these old vehicles is as much our love for history as anything else. Dan, I know the car very well. I was in grade school when the touring was restored. Otis and my father were good friends and often toured together. Otis was the consummate restorer. He workmanship and finished product was always of the finest quality. The way Otis restored his cars was to totally disassemble his cars, and use as many nos parts as he could find. Then he restored the rest of the parts to perfection. Once all parts were finished, and painted they were placed on roll around shelves. He then called in a few of his friends my father and myself included and we set about to assemble the chassis completely and drove it the same evening. Now all the major components were assembled and ready to be installed in the chassis. Once it was all put together, we cranked it and it fired right up. I remember Otis backing it out of the garage and driving it up and down the street sitting on the gas tank. We all took turns riding around the block. There is nothing like a fresh restored motor smoking and cooking the paint for the 1st time. The next night we all returned and installed the body, fenders, and the rest of the sheet metal. finishing with the top, windshield and lights. The car was all assembled and ready for touring. The same process was completed with his 1913 roadster, a couple of years later. 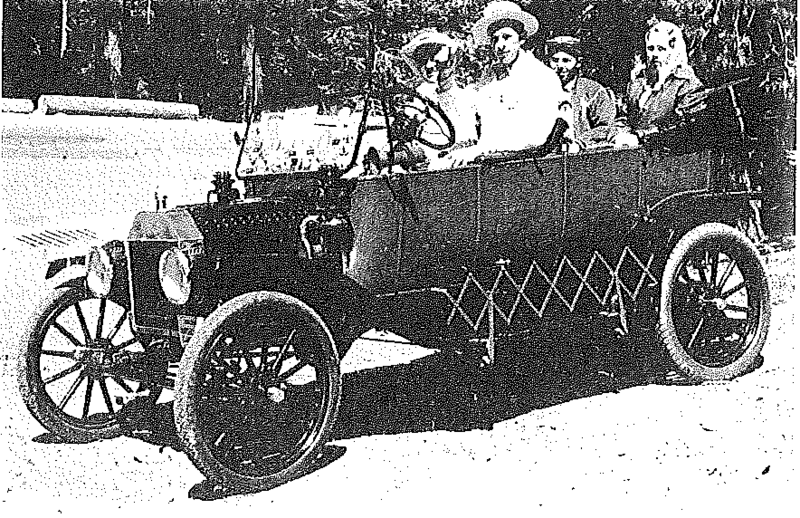 That car and 8 or 9 others our 1913 touring included, drove to Sacramento in 1959 for the HCCA national tour. The fenders, and splash aprons, on your car as well as the hood were made by Otis in his shop. He was a perfectionist to the smallest detail. At that time he charged $25.00 for each fender, $15.00 for each splash apron and $25.00 for the hoods. I used to work with him on Saturdays while I was going to high school just to learn about model t's. I rode the bus from the north end of Seattle to west Seattle where his last shop was. I spent the entire day there doing as told and shown how to restore parts. for some unknown reason he took a liking to me and we got on quite well. He was a very tough taskmaster and expected perfection. He was the total trophy whore and went crazy if he did not win 1st every time. I remember on the 1960 Reno tour a 1915 touring won 1st place against his 1913 roadster. He actually made a list of the incorrect things and presented it to the judges. While it did not change the outcome, he felt better. I remember he was soo pissed he was not going to go up and accept 2nd place. His wife Blossom forced him to. Otis was one of a kind and one hell of a restorer. His knowledge of model t's was legendary, and his quality was unsurpassed. Each daughter got a model t and I often wondered what they ever did with them. Great detective work, Dan ! Glad you & your family are enjoying the Touring. I have Otis' Centerdoor and was also a personal friend of the Clinton family in later years. Thanks Brasscarguy for filling in some details for me about the car and Otis Clinton. He obviously was quite a craftsman given the fact that the car is still very presentable and runs well. When we got the car, it came with an extra engine that had been completely rebuilt. In fact, it was the original engine with a Dec 1912 casting date. The engine in the car when we received it had a June 1913 casting date, but the features of the car are consistent with an early 1913. Steve, we are really enjoying the car! We have had it on 4 HCCA / AACA Reliability Tours, other local club tours and of course, regular drives around home. Otis had all the KR Wilson shop tools for model t's. I learned from him how to pour babbit, line bore the main line and how to hand scrape the bearings. If you ever remove the pan from either motor, you will find the date stamped on the crankcase flange along with Clinton Ott Enterprises. This was how he kept track of the motors he restored for himself and customers. In his "other" life Otis was in the outboard motor business hence the Clinton Ott name. He and his partner sold and repaired Mercury outboard motors as well as they ran a real old time machine shop in the industrial area of Seattle. He real claim to fame unknown by most that knew him, was his race boat fame. Otis raced outboard hydroplanes in the Northwest for many years before he got so involved with model t's. He held national records in a number of classes. There was a very grueling race in the Seattle area know as the Samamish slough race. This started in Lake Washington and ran eastwards to Lake Samamish(some 30 miles each way). Then they had lunch did necessary adjustments and raced back down to Lake Washington. Otis won this race several times in several different classes. Like his restorations, his racing skills were unsurpassed. I believe the photo you have was actually taken on a vacation trip he and his family and another local model t guy took to Montana. They toured Montana for a couple of weeks with signs attatched to their cars, asking if anyone knew about any model t parts to help keep their cars running. Otis was always the promoter. Brasscarguy, thanks for the additional information about our car and Otis Clinton. I was not aware of his involvement with boat racing. It sounds like he was skilled in that activity as well! The stamping you mention on the crankcase will be something to look for at such time we have either engine apart. As for the picture, it was part of the Yosemite HCCA Gazette tour write-up, so I would be curious as to why a picture from a separate trip to Montana would have been included? Anyway, thanks again for your recollections! I have often wondered what the origins are of the competitive restoration and showing of cars. Whose bright idea was it ? Where did this madness all begin ? object (be it a Model T or a hand made fly rod) to a paradigm of self promotion and ego contests. Rather destructive in the bigger picture.